The parties also announced the filing of a Delaware certificate of merger pursuant to which FMC Technologies and a subsidiary of TechnipFMC will merge effective immediately after the merger between Technip and TechnipFMC on January 16, 2017, which will complete the business combination between FMC Technologies and Technip. Trading of the TechnipFMC shares is expected to begin on January 17, 2017, on Euronext Paris at 9:00 a.m. (Paris time) and on the NYSE at 9:30 a.m. (New York time). Technip is a world leader in project management, engineering and construction for the energy industry. From the deepest Subsea oil & gas developments to the largest and most complex Offshore and Onshore infrastructures, our close to 31,000 people are constantly offering the best solutions and most innovative technologies to meet the world's energy challenges. 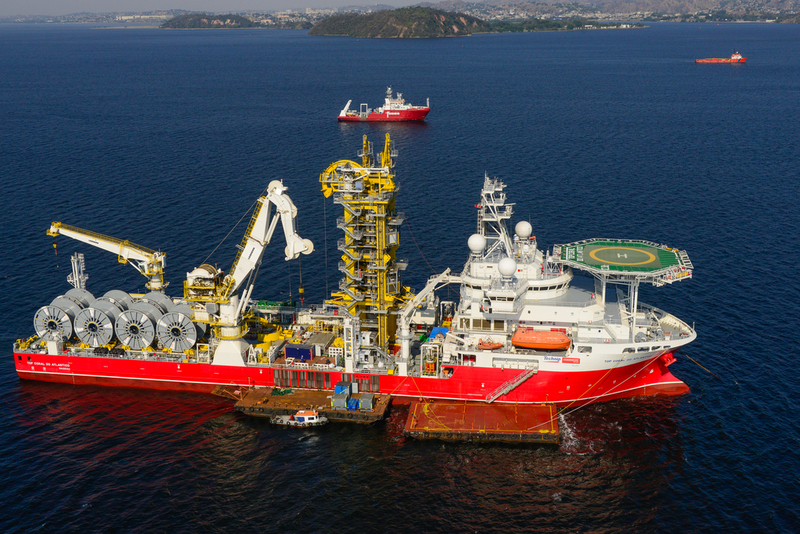 Present in 45 countries, Technip has state-of-the-art industrial assets on all continents and operates a fleet of specialized vessels for pipeline installation and subsea construction. Technip shares are listed on the Euronext Paris exchange, and its ADR is traded in the US on the OTCQX marketplace as an American Depositary Receipt (OTCQX: TKPPY). Visit us at www.technip.com. Factors that could cause actual results to differ materially from those in the forward-looking statements include failure to satisfy certain closing conditions to the proposed transactions; failure to obtain favorable opinions from counsel for each company to the effect of how TechnipFMC Limited (to be renamed TechnipFMC plc) should be treated for U.S. tax purposes as a result of the proposed transaction; risks associated with tax liabilities, or changes in U.S. federal or international tax laws or interpretations to which they are subject, including the risk that the Internal Revenue Service disagrees that TechnipFMC is a foreign corporation for U.S. federal tax purposes; risks that the new businesses will not be integrated successfully or that the combined companies will not realize estimated cost savings, value of certain tax assets, synergies and growth or that such benefits may take longer to realize than expected; failure to realize anticipated benefits of the combined operations; risks relating to unanticipated costs of integration; reductions in client spending or a slowdown in client payments; unanticipated changes relating to competitive factors in the companies' industries; ability to hire and retain key personnel; ability to successfully integrate the companies' businesses; the potential impact of announcement or consummation of the proposed transaction on relationships with third parties, including clients, employees and competitors; ability to attract new clients and retain existing clients in the manner anticipated; reliance on and integration of information technology systems; changes in legislation or governmental regulations affecting the companies; international, national or local economic, social or political conditions that could adversely affect the companies or their clients; conditions in the credit markets; risks associated with assumptions the parties make in connection with the parties' critical accounting estimates and legal proceedings; and the parties' international operations, which are subject to the risks of currency fluctuations and foreign exchange controls. All of our forward-looking statements involve risks and uncertainties (some of which are significant or beyond our control) and assumptions that could cause actual results to differ materially from our historical experience and our present expectations or projections. You should carefully consider the foregoing factors and the other risks and uncertainties that affect the parties' businesses, including those described in FMC Technologies' Annual Report on Form 10-K, Quarterly Reports on Form 10-Q, Current Reports on Form 8-K and other documents filed from time to time by FMC Technologies and TechnipFMC with the United States Securities and Exchange Commission and those described in Technip S.A.'s annual reports, registration documents and other documents filed from time to time with the French financial markets regulator (Autorité des marchés financiers). We wish to caution you not to place undue reliance on any forward-looking statements, which speak only as of the date hereof. We undertake no obligation to publicly update or revise any of our forward-looking statements after the date they are made, whether as a result of new information, future events or otherwise, except to the extent required by law.